Easter is just a hop away and we know there will be baskets filled with candy and other deliciously sweet treats galore. This year, we’re sharing recipes that aren’t only simple and easy, but healthy too! Hosting this year? Goodwill is a great place to shop for decorations, servingware, and outfits! Check out these Easter-inspired goodies from a few of our Goodwill Store & Donation Centers! Try something different this year. 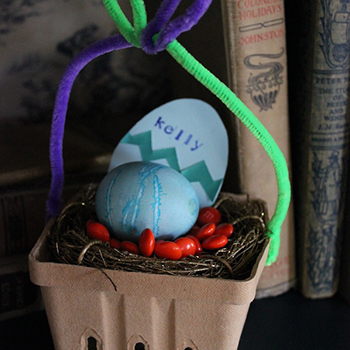 Make Easter baskets from berry boxes and old fashion pipe cleaners (chenille stems). Twist colored pipe cleaners together to make a handle. Or form bunny ears at the top. Cut a small hole on two sides of the basket to attach the handle. Breakfast is one of my favorite meals, especially at holiday time. I love to gather family and friends for a leisurely brunch on an important day, like Easter. Afterwards, everyone has plenty of time to head to the next party. 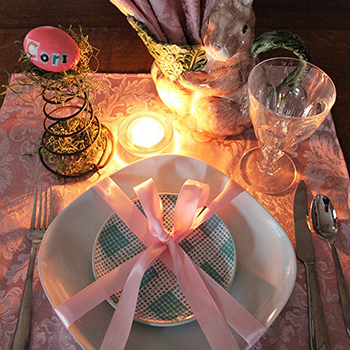 This table setting is perfect for Easter, but works for any spring weekend. Easter morning can be a bit hectic, so beginning the day with a healthy breakfast you can prep the night before will kick things off on the right foot! We suggest making a big batch, spooning the oats in little jars, and adding a festive twist by tying colorful ribbon around the jars. 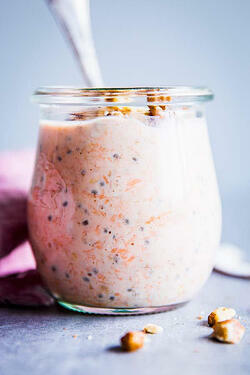 These overnight oats will feel like a treat and prove that even carrots can taste delicious in oatmeal! 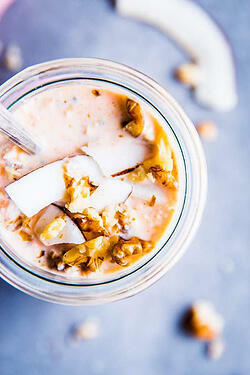 Refrigerate overnight, then serve cold topped with extra coconut and walnuts. Colorful, healthy, and super easy to make, these fruit kabobs are the perfect Easter snack! 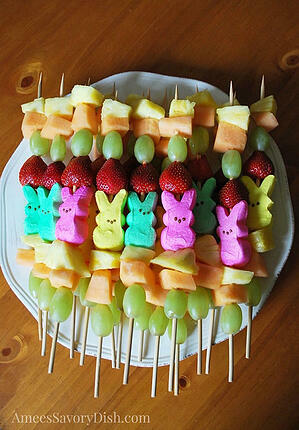 Adding a Peep to each stick makes this simple treat extra adorable and we’re betting that your kids will approve too. Don’t forget to stop by your local Goodwill Store & Donation center to shop for decorative serving ware that will pair perfectly for all your Easter dishes! Layer fruit on a skewer with a peep in the center. Tip: Make soon before serving so the sugar on the Peeps doesn’t run.